Web2Learn, as part of the partnership iPEN (Innovative Photonics Education in Nanotechnology) organises in May 2019 an Intensive Course. Please see here. How does the design of social networked language learning communities impact on the way evidence based research is conducted? Creation and delivery of Greek language and culture courses to adults of refugee background through digital and mobile technologies. On 26-27 September the ‘Open Education: Promoting Diversity for European Languages’ conference of the LangOER project, took place successfully in Brussels. Katerina Zourou offered a consultation at the Department of French Language and Literature, at the University of Athens, between March and April 2016. The service consisted of advice on research projects in the area of digitally enhanced language learning and social inclusion. 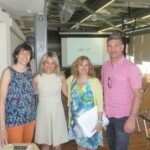 Web2learn is taking part in the new Elang project, aimed at digital literacy for the teaching/learning of languages. The project is funded by the European Centre for Modern Languages (ECML)/Council of Europe, located in Graz, Austria. 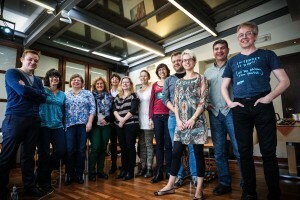 From December 2015, our company is part of EdReNe, the European Educational Repositories Network, a decision taken at the last EdReNe workshop in Copenhagen on 20 & 21 October. Check here the full programme. The next annual workshop will take place in Brussels on September 26 & 27 2016, in collaboration with LangOER. 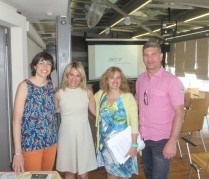 A successful blended course on the topic of “OER and their pedagogical value” was held in Thessaloniki, Greece from May 15 to June 30 2015. Designed as a distance training course in combination with a 2-day intensive face-to-face workshop, it brought together 40 educators, 32 of whom completed all components of the course. ExplOERER, (pronounced ‘explorer’) is Web2Learn’s most recent European Commission co-funded project. This year the Media and Learning conference will take place in Brussels, November 20 & 21. The LangOER project will give a presentation on Open Educational Resources and their value for less used languages, by Valentina Garoia and Marit Brisma. The 19th edition of Online Educa Berlin takes place in December 4-6. At this top technology enhanced learning event, Web2learn will be present at the EACEA stand with materials of the Web2LLP project. Looking forward to new learning opportunities! The special issue on “Mutations technologiques, nouvelles pratiques sociales et didactique des langues” has just been published by the journal Le français Dans Le Monde Recherches et Applications. It has been coordinated by Christian Ollivier and Laurent Puren. how, why?) on June, 7. Resources for this round table have been gathered here. Speakers are François Mangenot, Mathieu Cisel, Christian Ollivier, Jean-Philippe Pernin and Katerina Zourou. The 2013 version of the EPAL conference (Echanger pour Apprendre En Ligne) will take place in Grenoble, June 6-8. The programme is online, check the Twitter and Facebook accounts for updates! We look forward to reading the contributions of our colleages. EUROCALL provides insightful presentations on practices related to ICT, web 2.0 tools and social media in classroom and higher education. The European Association for Computer Assisted Language Learning currently represents 33 countries and it has its own online publication (biannual). Don’t miss the Infodays for the 2013 Call for proposals of the Lifelong Learning Programme of the European Commission! The event can be attended online, too. Research and innovation is a key pillar of the Digital Agenda for Europe (DAE). The DAE is the European Commission’s strategy to deliver sustainable economic and social benefits from a digital single market based on fast and ultra fast internet and interoperable applications. The Research and innovation pillar of the DAE focuses on maintaining Europe’s competitive edge in ICT R&I through increased coordination and elimination of Europe’s fragmented efforts. The Special Issue on “Connectivism: Design and Delivery of Social Networked Learning” of the IRRODL journal (International review of research on open and distance learning) has just been published. Following the highly successful inaugural event in Barcelona (#PLE_BCN) in 2010, this year’s PLE Conference will be held at the University of Southampton from July 11th ­ to 13th 2011. The PLE Conference is intended to produce a space for researchers and practitioners to exchange ideas, experience and research around the development and implementation of PLEs – including the design of environments and the sociological and educational issues that they raise. Whilst the conference includes a traditional research paper strand, we particularly encourage proposals for sessions in different formats including workshops, posters, debates, café sessions and demonstrations aiming to sustain the dynamic, vibrant and interactive discussion established by the opening event in Barcelona in 2010. The conference organisers welcome 500-800 word abstracts for full or short research papers. Submissions for other types of presentation, such as workshops, symposia, demonstrations and installations are also encouraged. These can be submitted electronically via ConfTool http://pleconf.cs.uni-paderborn.de/ . The full guidelines for submissions can be downloaded here. Future visions: Quo vadis PLE? opportunity to establish collaborations, strengthen their links and cross-fertilize their core disciplines.